Businesses are only making use of 5% of the data they collect, according to Forrester Research. Businesses are only making use of 5% of the information they collect, with much of the data they horde unusable, according to Tom Pohlmann, managing director of Forrester’s information technology client group. This is due to issues with master data management, data quality and silos of information, which make it extremely difficult to establish one version of the truth, he says. “CIOs are still grappling with different versions of the truth [in terms of data],” says Pohlmann, pointing out that businesses have myriad ways of cataloguing customer interaction, which create silos of data. “Business intelligence is a big pain point for many organisations,” he says. Businesses never set out to create data problems, but even with the best intentions, their data organisation is ineffective. He says organisations need to focus on turning the 5% of usable data to 20%. 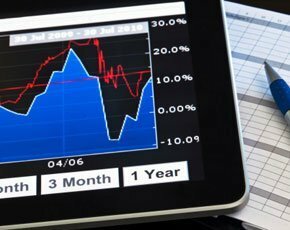 Given the poor economic outlook for 2012, business intelligence (BI) may be one of the key assets IT can offer the business to improve profitability during difficult trading. "The CIOs I talk to spend a lot of their time thinking about how to drive growth,” says Pohlmann. Forrester describes data virtualisation as a way for businesses to deliver on the promise of information-as-a-service (IaaS). It can be used as a stepping stone for enterprise data integration. However, as Computer Weekly has previously reported, less than 20% of IT departments in North America and Europe have incorporated data virtualisation into their integration tool kits. Even fewer are realising its true potential, according to Forrester analyst Brian Hopkins. Beyond BI, Pohlmann, believes CIOs must start rethinking how IT operations should function. “Previously, it was all about standardisation. Now we are in the age of consumerisation. Customers have a lot more power than 15 years ago,” he adds. This is forcing CIOs to grapple with Facebook, iOS and Android. Pohlmann recommends CIOs ask themselves whether they are missing a trick. Given tight IT budgets in 2012, is it really necessary for everyone to run the full Microsoft Office Suite? Does IT need to procure as much desktop hardware, given people have more powerful laptops at home? And why bother with the employee portal if only 20% of employees actually use it. Microsoft Office, corporate PCs and the enterprise portals have come from a different era of computing – pre-Facebook – where standardisation was the tool IT used to drive down costs. Develop robust IT security to support the greater use of mobile devices.